Experience the vibrant cultural scene of the South Beach neighborhood of Miami Beach on this arts and culinary tour. With your guide – an expert art district curator – hear world-class musicians at the New World Center, admire historical and contemporary art at the Bass Museum of Art, and visit the galleries of emerging and established artists at ArtCenter. Finish off your adventure by savoring a three-course meal created by a celebrity chef! Your arts and culinary tour in Miami Beach's bustling South Beach neighborhood begins with a behind-the-scenes look at the New World Center, a stunning concert hall designed by renowned architect Frank Gehry that’s home to the New World Symphony. As your expert guide will explain, the New World Symphony is comprised of talented young musicians preparing for careers in orchestras all over the world. You’ll get goose bumps as you hear these gifted performers practice their impressive repertoire! Next, a shuttle bus will take you to the Bass Museum of Art, a fixture of Miami Beach's art scene. Admire the Art Deco touches on the building’s façade before heading inside to marvel at a variety of historical works, which span five centuries and four continents, as well as intriguing contemporary exhibitions. 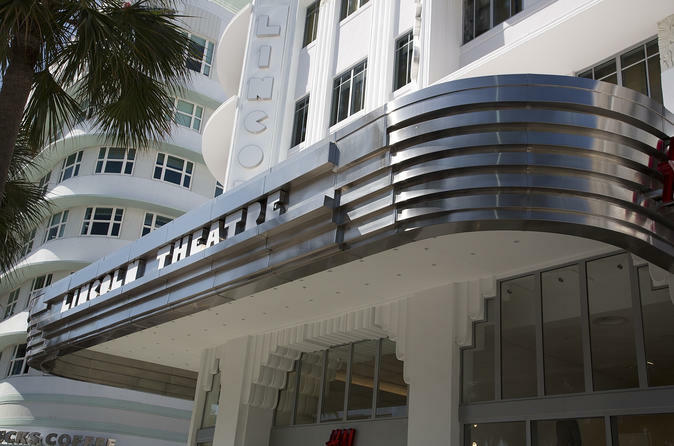 Your final stop is Lincoln Road, a bustling dining and shopping area. Immerse yourself in the rich South Beach gallery scene with a visit to ArtCenter, where you’ll observe innovative works by emerging and established artists. Then, it’s time to indulge in some plated works of art! Your excursion will conclude with a three-course lunch or dinner – depending on the time of your tour – at one of the many South Beach restaurants helmed by a celebrity chef, such as Mercadito, Shokudo or Egg & Dart. You’ll also receive a complimentary discount booklet for great deals at shops and restaurants during the rest of your stay!